Designer Tom Ford is celebrating his 53rd birthday today! We're honouring the designer who has dressed every major celebrity from Beyoncé to Kim Kardashian—and put every major model from Kate Moss to Naomi Campbell in some of the most unapologetically sensual outfits to ever hit a runway—by taking a look back at his most provocative quotes of all time. 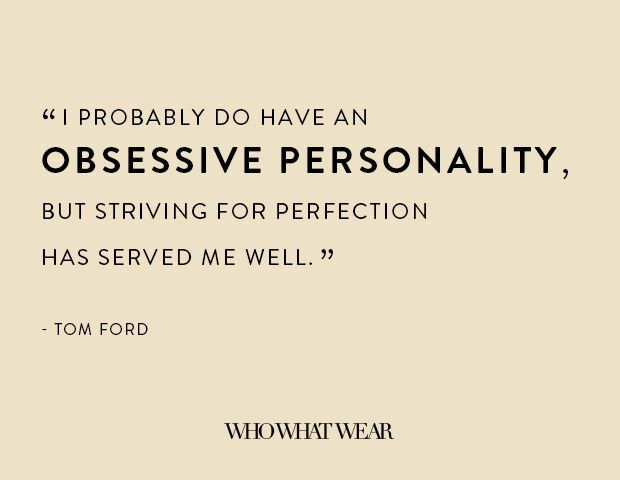 Speaking on everything from his passion for bathtime to his disdain for materialism, Ford has left no holes barred throughout the years when it comes to his opinion. And we love him for it! Happy birthday, Tom! Scroll down to read his 18 most provocative quotes of all time.